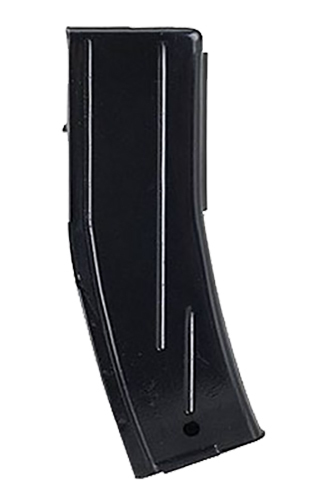 A magazine for the U.S. Carbine M1. Magazine body and follower constructed of blued, heat-treated steel. A heat-treated Chrome-silicon wire spring ensures reliable feeding and function. Fits all Mil-Spec, and most civilian Carbines.